Within our Recessed Electric Fires category you will find a range of Electric fires than can be partially recessed or some models can even be fully recessed into the wall. 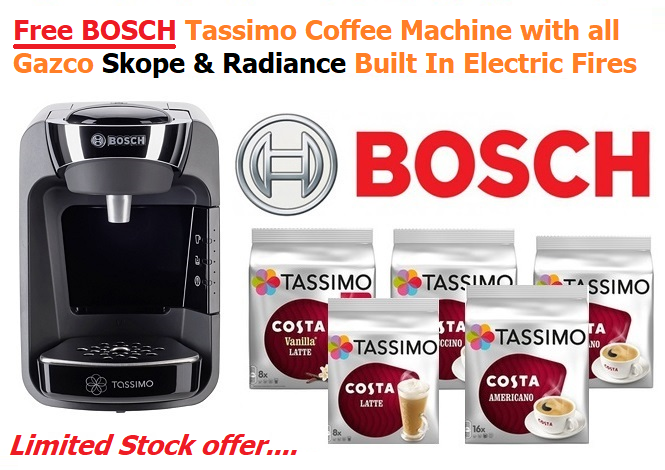 Offer available only on orders placed before 7th January 2019. 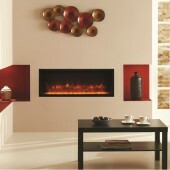 Recessed Electric Fires There are 26 products. 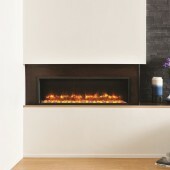 Gazco Radiance 105R iNSET Edge Electric Fire with vari-colour flame Electric Inset Wall Fire HOLDING STOCK FOR SAME DAY COLLECTION ..OR NEXT DAY DELIVERY DISPATCH. 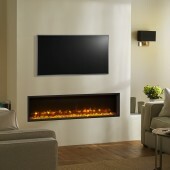 Gazco Radiance 85R iNSET Edge Electric Fire with vari-colour flame Electric Inset Wall Fire HOLDING STOCK FOR SAME DAY COLLECTION ..OR NEXT DAY DELIVERY DISPATCH. Electric Hole in the Wall / Wall Mounted Gazco Riva2 670 Verve XS Front Electric FireWall Mounting Kit available for an additional €100HOLDING GRAPHITE STOCK FOR SAME DAY COLLECTION ..OR NEXT DAY DELIVERY DISPATCH. 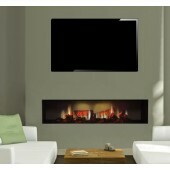 Electric Hole in the Wall / Wall Mounted Gazco Riva2 670 Evoke Electric Fire - Black or White Glass Wall Mounting Kit available for an additional €100HOLDING EVOKE BLACK GLASS STOCK FOR SAME DAY COLLECTION ..OR NEXT DAY DELIVERY DISPATCH. 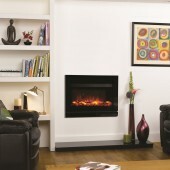 Electric Fire Dimplex Opti-V Oasis PGF 20 fully Recessed Inset hole in the wall Electric fire.